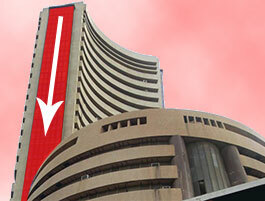 At 9:15 AM, the S&P BSE Sensex is trading at 24,829 down 71 points, while NSE Nifty is trading at 7,603 down 12 points. The Indian rupee opened lower by 8 paise at 66.72/$ on Wednesday as against the previous close of 66.65$. On Wednesday, Indian rupee weakened further, impacted by foreign capital outflows and demand for the greenback from the importers. On domestic front, the Nikkei India Composite PMI Output Index, which maps both manufacturing and services sectors, climbed from 51.2 in February to a 37-month high of 54.3 last month. A jump in oil prices sent shares of energy companies' shares sharply higher. Oil prices jumped 5.2%, to close at US$37.75 per barrel after a surprise drop in inventories. The Energy Information Administration (EIA) reported that US crude supplies in storage fell by 4.9 million barrels in the week ended April 1. Street would be watching out the last day of subscription for Equitas IPO, which has turned out to be one of the biggest after Bharti Infratel's Rs 4,155 crore issue that hit the market in December 2012. The company has set the price band of the IPO at Rs 109-110 per share. Sakthi Finance’s public issue of secured, redeemable, non- convertible debentures (NCDs) up to Rs. 100 crore would open on April 7. The Cabinet Committee on Economic Affairs, chaired by the Prime Minister Narendra Modi, has given its approval to the proposal of M/s. ATC Asia Pacific Pte. Ltd. Singapore for acquisition of 51% of shareholding in M/s. Viom Networks Limited by way of transfer from existing shareholders. The Union Cabinet has given its approval to Recommendations on Fiscal Deficit Targets and Additional Fiscal Deficit to States during Fourteenth Finance Commission (FFC) award period 2015-20 under the two flexibility options recommended in para 14.64 to 14.67 of its Report. PNB Housing Finance Limited has issued secured fixed rate NCDs to International Finance Corporation (IFC) to raise Rs. 500 crore for funding Green Residential projects. With this, PNB Housing has become the first housing finance company (HFC) to successfully issue Green Bonds.